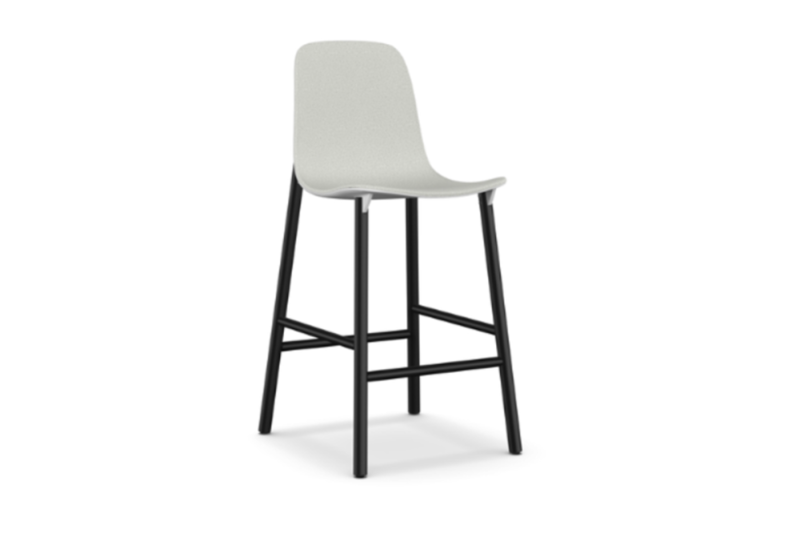 Stools available in two heights with different seat shapes, with aluminium legs. Two sinuous stools with narrow lines and an overall effect that is extremely resistant. One of the stools entirely replicates the seat of the chair to become a comfortable bar stool, whereas, the other version has been shortened for a more harmonious overall effect. The Sharky Alu stool can be fitted with light padding and upholstered in high-quality KvadratÂ® fabric in different colours that create many combinations.